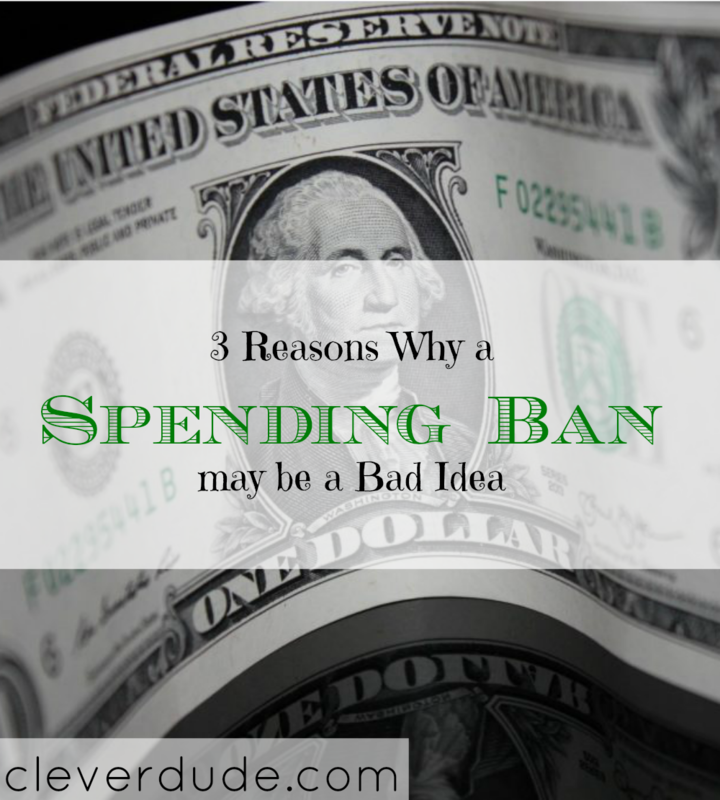 Spending bans are a popular method people use to reduce their spending. A person might commit to not buying new clothes, or holding off on any major home repairs for an entire year. The theory is that by holding their spending in check, they will save money over the duration of the spending ban. The person usually implements a spending ban to either create some relief on their overall budget or to put the money towards some big ticket item such as a much-fantasized vacation. But spending bans may not actually accomplish the desired goal, and in some cases may actually backfire. Any complete removal of something you enjoy, you reduce your quality of life. Complete deprivation of new clothes, going to movies, or whatever you’re cutting out is going to leave a hole in your everyday life. If a person decides to not buy any new shoes for an entire year, they will obviously remove that expense for the duration of the spending ban. Meanwhile, the shoes that the person does have will wear out. When the spending ban has expired, the person may now have to replace all their shoes at one time. In the end, they may not have actually saved anything. They may just push the expense down the road. This may be a very large expense that is difficult or near impossible to contain within their budget. A spending ban implemented to reduce spending and create some relief in the overall budget is simply a band aid. If your expenses are too high for your income, a temporary ban on a single type of item is simply ignoring the problem. You have to address your income vs expenses problem and come up with a permanent solution. I’ve watched as people I know implement spending bans to meet some financial goal. They certainly may work, but there are instances when they can be financially detrimental. Before you decide to take on a spending ban, know what the risks are, and how it could negatively affect you. Maybe you’ll decide to ditch the idea, but at the very least you should go into it with your eyes wide open to avoid the pitfalls. How about you, Clever Friends, have you ever done a spending ban? How did it work out for you? Is The National Consumer Panel Worth The Time and Effort? High Water Bill Due To Your Swimming Pool? You Need To Read This NOW! Keg or Cans, Make The Right Choice!